Well Valentines Day is coming up and this would be a nice touch if you want to impress that artists in your life. Or maybe an art project, for you teachers out there. It is quick, easy and has a personal touch. Here is a link to the instructions of how to make this pixalized Valentines Pop Up Card. 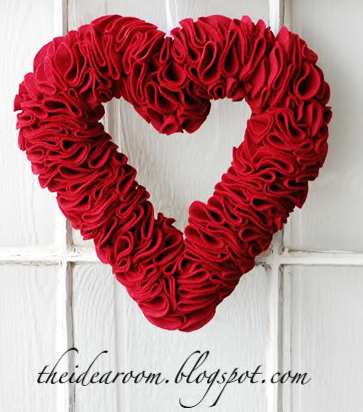 I saw this extremely cute Valentines Day Wreath and I had to share it with you guys! It is extremely easy and everyone will be asking you where you bought your wreath from! Check out some other Do It Yourself Ideas that LRWC has posted! We have everything from fun recipes to children's crafts! Let us know what you made! Start with a blank red card. 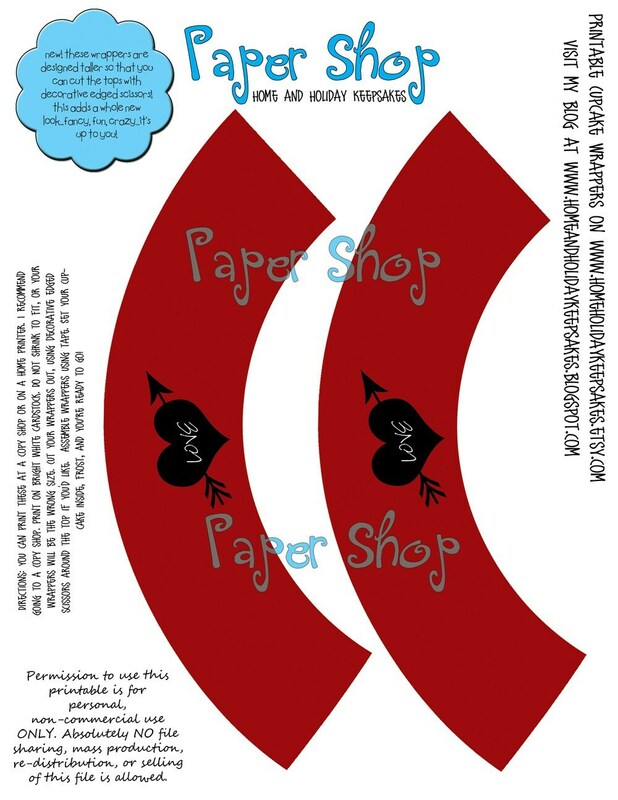 Cut out two white paper hearts, then stamp them with a small rubber stamp (we used a snowflake design). 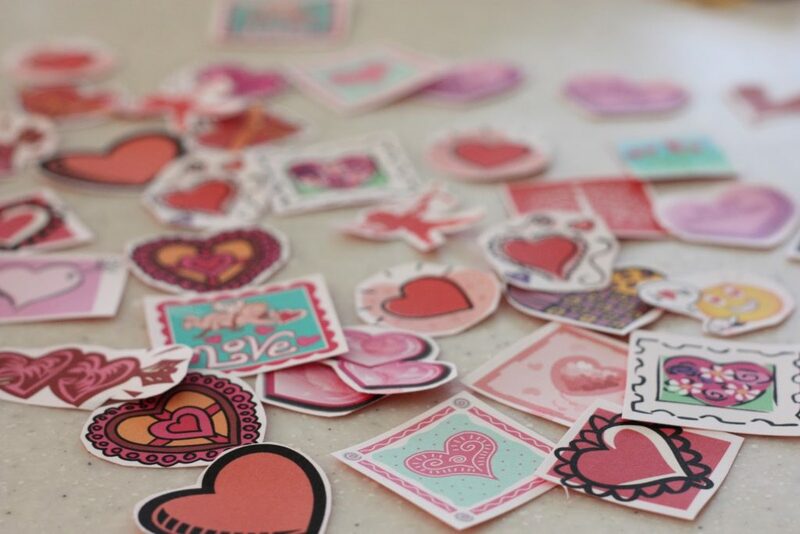 Paste the hearts to the card. Finally, affix a small bow to the center of each heart with craft glue. this was supposed to be a project, but the stupid web site redirected us to this pinterest image. This is a listing for Do-It-Yourself printable cupcake wrappers! In this high quality digital file, you will receive 2 of the wrapper pictured--Tall Dark Red with Love Heart and Cupid's Arrow. What a fun way to dress up your Valentine Cupcakes! These can be printed at a copy shop or at home. I recommend going to a copy shop. This garland is easy and fun to make! Thanks to pebbles for the idea. 360 hearts makes for a 24 ft. long garland! The best one here are valentines stickers. And if you are looking for more Valentine DIY projects, Clemence at Oh the lovely things just created a Valentine's day DIY roundup of the best projects she found around the wonderfully wicked web. Like the cool cupid arrows below. I saw a link to these super cute and super easy do-it-yourself Valentines shirts! Naturally, I made them! I used Tulip fabric paint from Hobby Lobby and it worked fabulously! I love them!